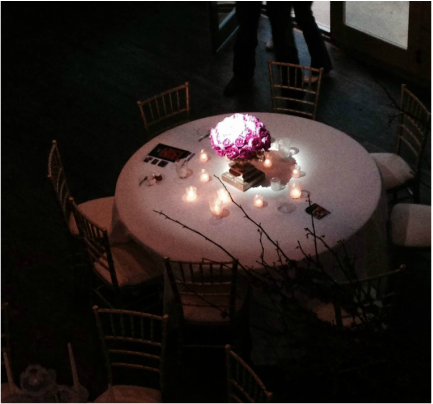 Pin Spot Lighting is a great way to create highlights and drama for your event by enhancing your centerpieces and other focal points in your event with light. You can turn an ordinary event table into a truly unique and vibrant focal point. Pin Spot Lighting is another one of the most cost effective ways to decorate your special event and focal points.